But what if they laugh? On the importance of kindness. This entry was posted on February 1, 2015, in Learning to Swim, Swimcrest Thoughts and tagged Bob Newcomb, Mean Girls, Russ Yarworth, Swimmers supporting swimmers, when swimmers are unkind to each other, why swim Masters?, women supporting women. Bookmark the permalink. I’m not sure I’ve ever written about my most painful swim memory. It was a blip, really, but something that impacted me for longer than I’d like to admit, and it’s a lesson I remember as I teach. It’s a lesson I remember as I support my teammates. And it’s a lesson I remember as a member of any number of swim forums online or when I receive one of the many emails I get asking for swimming advice. 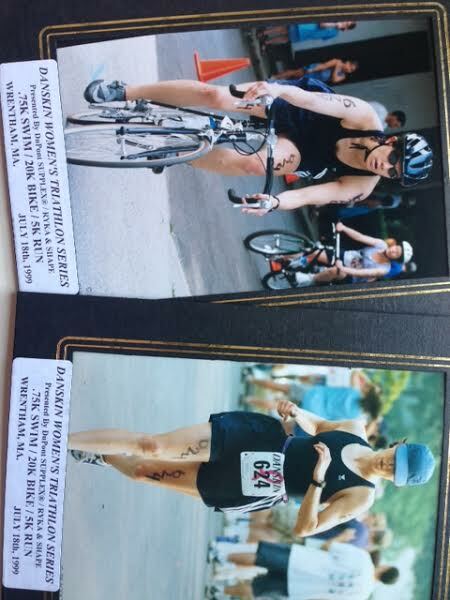 When I was a new swimmer, just a few years hatched and still not entirely confident in my water skills, I signed up for my first triathlon. The Danskin Women’s Triathlon, it was a sprint distance considered a great entry to the world of the sport. Low pressure, supportive, all about women being there for and supporting other woman, helping us all to meet this goal we had set for ourselves. New to any sort of competitive athletics, I had done a handful of runs but nothing like this. I knew it was something I wanted to do but constantly second-guessed my own training plans, my abilities, and whether or not I had done enough to finish this darn thing. The day came, and without going into too much detail, I did it. I finished that triathlon. I was a new swimmer and the 1/2 mile open water distance was what I had been most scared about. It was just a few years after my beginning swimming class in graduate school, and while I still had a tremendous amount to learn, on that day at least, I was proud of myself. I had completed the swim, and really, each portion of the race, faster than I had anticipated. That afternoon, I drove to the summer camp where I was to teach a journalism course for the next week. (I know—scheduling craziness!) It was the camp I had attended as a child and it was an honor to return in a professional capacity, ready to spend a week with creative, energetic kids who’d opted for arts camp over anything else they might have chosen that summer. The classes were fantastic. And the setting was beautiful, a boarding school in Connecticut with perfect hilly roads, designed for the early morning runs and bike rides I had learned to depend on as the way to start my day. I got up before classes each day, and spent my mornings outside, reveling in the accomplishment of the previous weekend, because when it’s the first major sports accomplishment of your life, the afterglow lasts a long time. One day, aware that I needed to get in the water, I decided to join the campers for one of the post-class afternoon recreation sessions at a local pond. 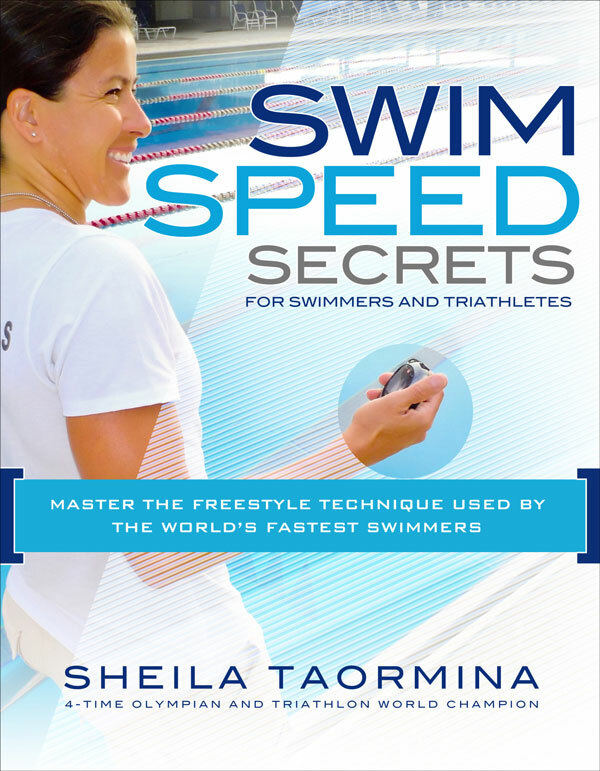 I entered the water slowly, as I always did, adjusting goggles and cap and strategizing my swim back and forth against the lane line marking out the approved swimming area. I swam, thinking back to my swim the previous weekend and what it had felt like to be surrounded by other women testing themselves, many of them, like me, for the first time in the open water. It was still a big deal for me to wear a bathing suit in front of others, and I wasn’t a graceful swimmer. I wasn’t natural. I was awkward and quirky, with what I’m sure were jerky movements. I kicked too hard. I ran out of breath and probably lifted my head too much when I needed to breathe. I was damn slow. But already I was learning that I LOVED the water. Really LOVED it. Despite that, swimming was still new. I knew I had a lot to learn, but I was eager for it. I finished my swim, a short one those days, and stood up. Two female counselors stood nearby, watching me. I had talked to them before and knew that both of them were college swimmers. What events did they swim? Who knows?!? What did I know about things like that then? If they’d said 100 IM, it would have meant nothing to me. Instead, I knew that swimming meant that you got in the water and you swam, and occasionally you did another stroke, just to change things up. Sometimes, if you were me, you went to the beautiful pond near your house and you swam in the early mornings, when the fog was still covering the water and where a flute player sometimes sat in the woods, playing so you felt serenaded while you swam. It was what time in the water was about and it was part of what made swimming feel like MAGIC. For these young women, it was not that. It was serious. It was about splits and technique and a “right” way of doing everything. It was about swimming meets from an early age, and about being in the prime of their swimming at 18 or 19 or 20 or whatever age they were that was younger than I. They looked at me, arms crossed. I looked at them, smiling, happy to be back in the water. They laughed at me. Heartily and with what felt like complete dismissal of all I had accomplished, the two of them laughed. And had clearly started laughing while I was swimming. She looked at the other woman. Both of them started laughing again in that with-a-friend-and-can’t control-yourself-way that young women sometimes have. They laughed and then said they would try to “teach” me a few things. But it was too late. I was melting. I was curling into myself. I was no longer the woman who had derived so much power from that triathlon, smiling as I finished and feeling stronger than I ever had. I was the girl with a foot turn and an eye turn and the girl who was self-conscious about my body, about my abilities, about the fact that I had lasted only two weeks on the track team, had gotten cut during middle school field hockey try-outs, and had tried out for cheerleading for one day until I remembered that it was definitely not for me. I was 28 years old, maybe 29, happily married to a supportive partner who embraced this new “training schedule” thing I had added to our lives. I was a happy person, learning my own strength and feeling fulfilled, until that moment. Why did the actions of a few young college students have so much power? How did they manage to make me, an adult woman, feel so very small? I got out of the water, wrapped myself in my towel, and sat on the shore while the two young woman watched their camper charges. It was all I could do not to cry on the “beach” of that little Connecticut pond. Occasionally, one of them looked at me, then they would look at each other and giggle a bit. I am not joking. They actually did that. For real. I sat there, adult me wishing the sand would swallow me up, waiting for the bus that would take us all, campers, counselors, and teachers back to camp. Finally, recreation was over. The bus dropped us off and I went for a run, taking a moment to be alone. Here’s the thing that helped me – I am REALLY stubborn. I felt terrible and I second-guessed everything about myself, but only for that day. When they laughed, I didn’t quit. Instead, I committed to keep trying. I would show those damn girls. I was going to MASTER this swimming thing. Okay, yes, inside I cringed every time I saw them throughout the rest of that week. I avoided them, and didn’t go back to the pond. But when I got home, I signed up for more triathlons. I swam outside more. I swam inside more. I took clinics and watched other swimmers. I ran a few marathons. I became a mom. I kept swimming. I raced a 1/2 Ironman with an open ocean swim and I decided to look into more open water swims. I kept swimming and swimming and swimming. Part of it was my own determination but it was also because shortly after their laughter, I found my swim team, and everything got better. I found quality coaching, quality peers and friends, and people who were going to help me grow in my chosen sport. In Masters, and UMASS, coaches Russ Yarworth and Bob Newcomb, I found mentors who encouraged and corrected gently, who worked with me where I was and didn’t judge, who laughed with me and NEVER at me. I discovered my passion for this water thing. And I kept working hard. I’m still working hard. But I have never forgotten those young women. I have instant recall of that moment and now, curiosity about them. Are the two of them still swimming? They’d be in their 30s now, maybe with kids, not the young cocky swimmers they were when they laughed at me. They’d be slower than they were. Maybe they swim on a Masters team, surrounded by swim fogies like me. What would they say to themselves if they had that moment to do over? Would they remember it if prompted? Sometimes, I wish I could find them and tell them how they made me feel. I wish I could tell them that it was mean, that they hurt my feelings, that I hope the kids they were taking care of didn’t see them laughing at me and then decide not to try something new for fear of that same condescending laughter. But I might also thank them. Perhaps anger was a motivator for me, once I wrestled with my feelings of inadequacy. Or maybe I’d challenge them to a race. 5 miles anyone? I’m not sure what I would do if faced with these women now. But I know that the legacy of this event is that it has left me better-prepared to handle some of the issues my clients have faced. Many have had similar experiences. Kids who laughed when they were young. Adult instructors who judged and made dismissive comments. Family members who said things like “I can’t believe you can’t tread! Here, just do it,” as if it was the simplest thing in the world. Learning to swim is scary stuff, and no one should EVER been made to feel “less than” as they try to learn something new. Nor should those of us who are always seeking to improve our practice. I am not, nor will I ever be, a “perfect” swimmer, and I should not be made to feel inadequate because – news flash! – there is NO SUCH THING as a “perfect” swimmer. 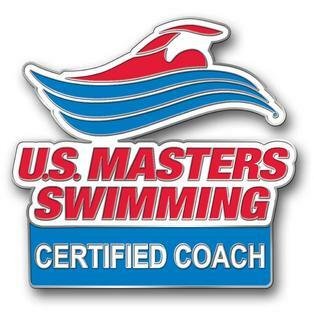 I work hard to make my fellow swimmers, teammates, and clients feel supported and applauded for their efforts. I make sure my students know that swimming is not about perfection, although it IS critical to make sure you are willing to reflect on your practice. Swimming is not about what other people think of you. It’s about you and the water and the feeling you get from being there. It’s about feeling proud of yourself. Because you should. Today, I had early morning swim practice, and as we were finishing our set of 31 times of 75 yards of freestyle on 1 minute, still a tough interval for me, the women’s team entered the pool to get ready for their practice. They sat on the bleachers, stretching and icing sore shoulders and looking swimmerly and like magnificent specimens of swimminess. A few years ago, I would have shuddered, and sunken into myself a bit, feeling embarrassed to swim in front of “REAL” swimmers. But now, it didn’t bother me at all. Instead of feeling intimidated by the what-ifs, the fear that they were quietly judging our team of adult swimmers, I just swam. And not one of them laughed. And neither will I. Ever. 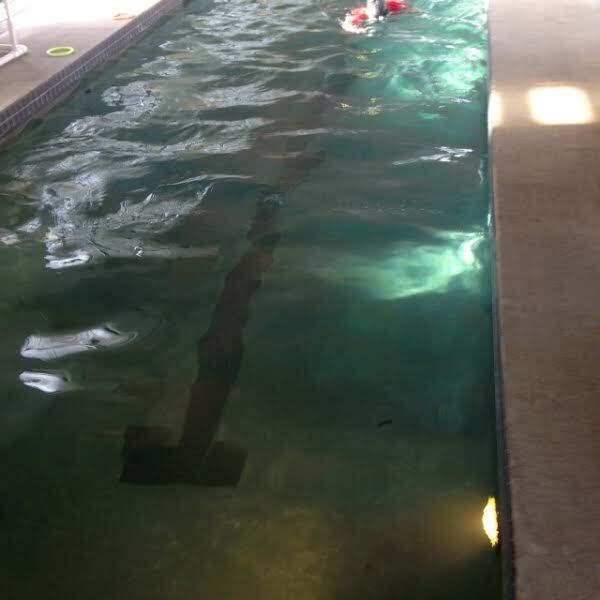 « My day in the Berkshires – Fun at the USMS Adult Learn-to-Swim Instructor Certification program.